The fact of being a single-axis tracker allow to reduce costs and to increase the energy production thanks to its east-west movement. - Pole mounted single axis tracker using maintenance free bearings and slew actuator. Reliable and low power consumption brushless stepper motors. - Continuous astronomical tracking control system for increased reliability and reduced consumption. Backtracking option. 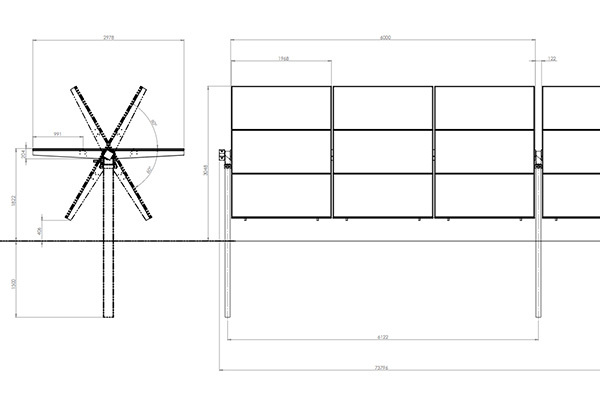 - 12 segments of 9 modules per segment, each segment based on a structural square steel tube. - 6 strings of 18 modules per string. 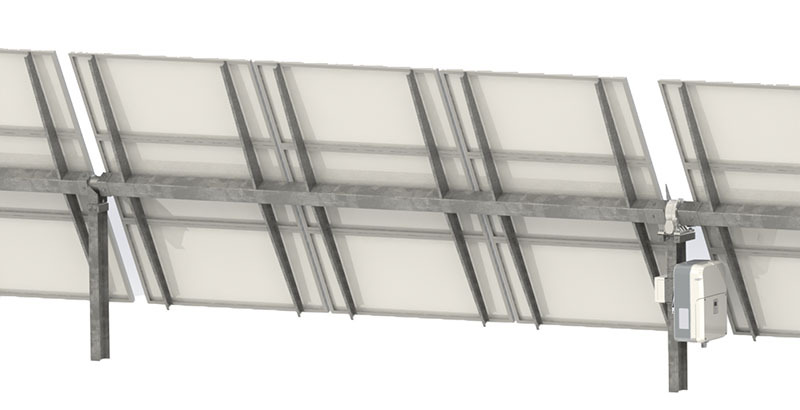 - Using 16% efficiency 72 cell REC Solar photovoltaic modules mounted in landscape arrangement, favoring proper actuation of bypass diodes when backtracking option is avoided. - Integrated 98% efficient ABB PRO 33 three-phase inverter with individual string monitoring. RS485/Modbus communications. 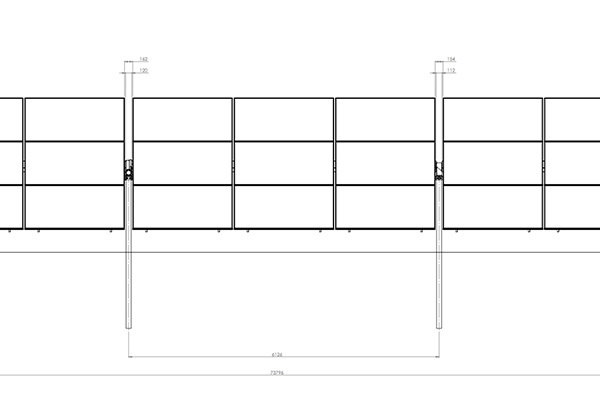 - Tracking structure optimized for REC PV modules. Main assembly steps consist in riveting components together (wings to central square tubes and modules to wings), speeding up system installation. - No welding or trimming of components required.